Water meters could come to local farms, as the city explores measures to conserve water in the face of trends such as urban growth and global climate change that will stress local water supplies. “It (metering) is something that the study will look at,” said Mitch Moroziuk, director of development and engineering services, during yesterday’s committee-of-the-whole council meeting that included presentations from local and regional water officials. Whether the city will meter local farmers in the future is among the questions public works staff will study as the city reviews its “mechanism” of supplying water, said Moroziuk. Findings of this review will not be available until next year. 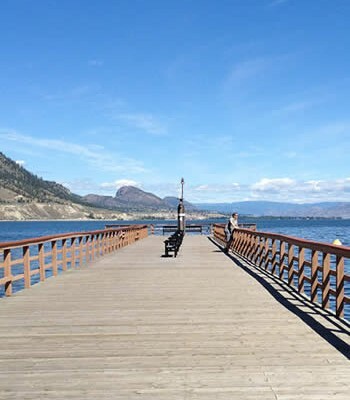 The city currently supplies local farmers such as orchardists and wine makers through separate irrigation systems along Naramata and Valleyview Road. These agricultural irrigation systems run separately from the residential system, with the city charging farmers based on their arable land. But Okanagan farmers are also the largest single users of water. 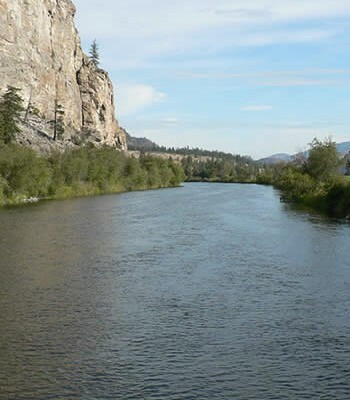 Farmers use up to 80 per cent of local water supplies, council heard during a presentation from Greg Armour, outgoing manager of the Okanagan Basin Water Board, and its executive director Anna Sears. That figure could increase in the future, added Armour as he echoed a host of scientific studies which predict global warming would lengthen annual growing periods. But the harmful effects of global warming are also already visible, said Armour. 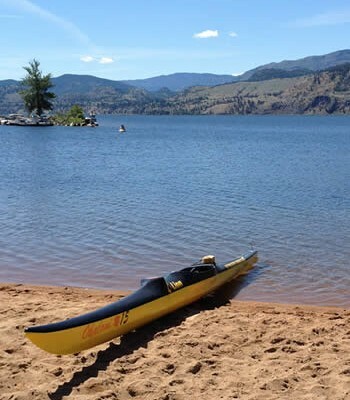 The annual snow melts that replenish Okanagan Lake are happening earlier than in the past, he said. This means that local reservoirs are filling up and spilling faster than usual, leaving users with less water when they need it the most during the hot summer months, said Armour. 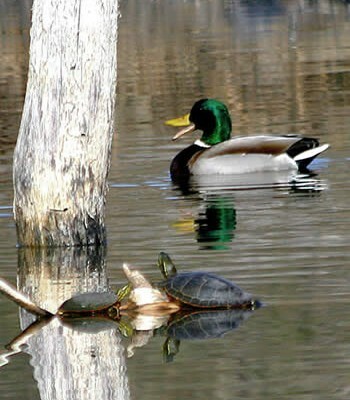 Water management practices were a concern for several councillors. Coun. Rory McIvor denounced current regulations that have created hundreds of “little kingdoms” of water license holders in the valley. “It (water) needs to be managed collectively for the greater good, period,” he said. Sears said a comprehensive review of regional water supply and demand is looking into that issue, but cautioned against unreasonable expectations. 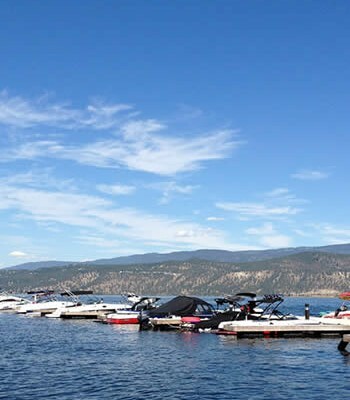 Mayor Jake Kimberley also complained about the multiple levels of government which municipalities must navigate, as four provincial and two federal ministries share responsibility in managing water from Okanagan Lake. “It is so frustrating, so time-consuming to deal with six ministries from two (senior) levels of government,” he said. Armour sympathized with Kimberley, adding the OBWB is looking into the issue. Tuesday’s presentation also included some positive news. 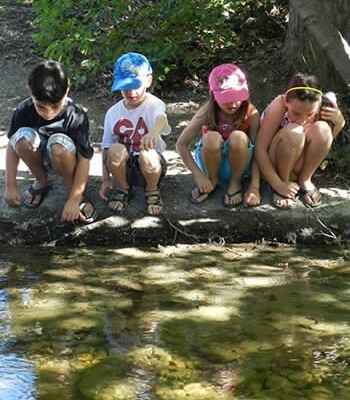 Carolyn Stewart, program coordinator for water conservation and cross connection control, said on-going conservation efforts have lowered water demand last summer by more than seven per cent averaged over five years. Stewart’s presentation also included a discussion of future water conservation efforts that would not only reduce water use, but also the strain on the local water treatment infrastructure. 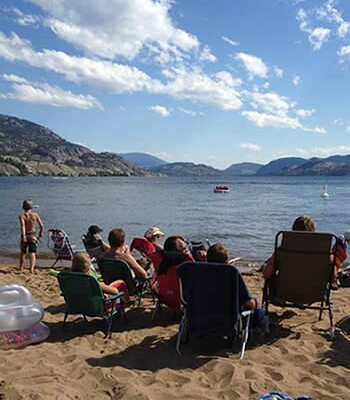 Proposed measures include the expansion of successful water conservation efforts from two local mobile home parks into residential neighbourhoods. Stewart is looking into whether the city could afford to duplicate rebate programs that would eliminate water-intensive lawns and appliances. 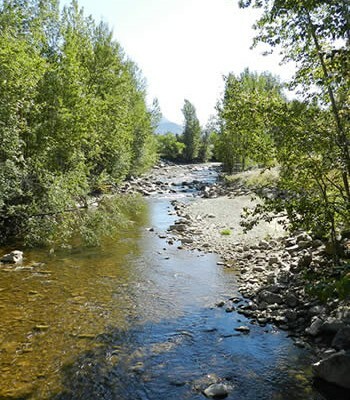 But as the city studies whether agricultural users should pay for their water by the (cubic) meter, it has not immediate plans to expand its conservation agendas within the local farming community. Kimberley said local farmers are already good managers of local water resources.